3000 ANSI Lumens projector! This one is perfect for smaller meetings, presentations, video montages, lectures, product placements, seminars, movies, and so much more! 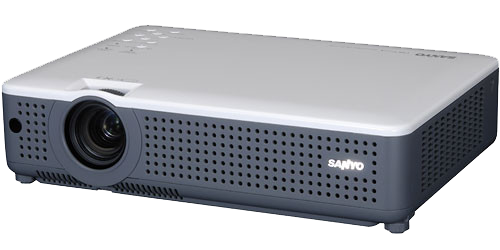 With 3000 Lumens brightness, this projector can handle most jobs that you will throw at it! Easy to use focus and zoom. 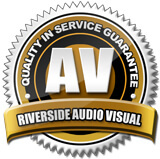 It is the perfect choice when you dont need HD inputs or side to side keystone correction. Easily connect your laptop, DVD player, or other video source to this projector and easily project it onto a screen size of up to 8x8 feet. 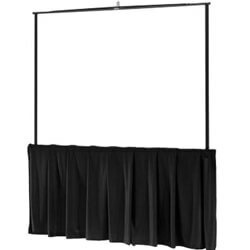 The 8x8 Tripod screen is the perfect size screen for meetings with up to 100 people. Very sleek and clean design with great reflectivity for your presentation.